Alarm companies are focused on keeping their customers safe and secure. After all, security is what clients rely on alarm system providers for specifically. In this day and age, however, customers are also expecting features and offerings that have encouraged alarm businesses to venture into the digital world. Security companies are now relying on the Internet of Things, online programs, and other digital assets to provide customers with the features and add-ons that they are craving. Unfortunately, this has opened alarm companies up to new risks and threats. While building trust with customers is a top priority for alarm companies, these new risks and cyber security threats have left some alarm system providers feeling very vulnerable. With the continued evolution of our industry, trust is expanding into the digital realm as well. In his 2016 Security Info Watch article entitled ‘Trust is an Asset: Managing Insider Risk in the Digital Enterprise,’ Steve Durbin explains that cyber threats have become increasingly widespread, putting companies and their customers at risk. Even two years ago, digital threats were on the rise. And they’ve only continued to grow as time has passed and online features have expanded. From insider threats to malicious attempts to breach security systems, it’s important to keep your company secure so that your customers can feel confident and comfortable putting their personal information and their security needs in your hands. Now, with the advent of the Internet of Things and the increasing use of new technologies and artificial intelligence in the security sector, alarm companies must focus on more than just combating questionable sales practices to prove their security business is reputable and trustworthy. They must also focus on ensuring that those who work for their companies can be wholly trusted, and on establishing reliable systems that cannot be easily breached to keep customers and their data safe. 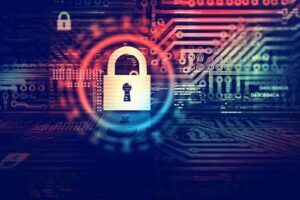 Here are some recommendations when it comes to protecting your customers – and your company – from internal and external cyber threats. Believe it or not, many threats to security come from the inside of alarm businesses. Whether intentionally or unintentionally, employees with access to the back end of your online systems and programs can put your business and your customers at risk for a security breach. In order to gain and retain your customers’ trust, you need to trust that those with insider access to your company will behave responsibly. Be sure you have properly vetted all employees before you move with hiring. After bringing new hires on board, provide gradual access to the most secure systems and programs only after employees have proven that they can be trusted completely. If you’re looking to expand into the realm of the Internet of Things and you’re planning to adopt some smart home security features, you’ll want to do thorough research to make sure that you’re investing in programs that are minimally vulnerable to security threats. Talk to other alarm business owners who have used the programs and make sure you have a good sense of the measures included that can protect both your company and the customers you serve from hacks and other cyber threats. Having knowledgeable customers is another way to keep your systems safe. Make sure your customers know how you will contact them and what private information you will ask for so they aren’t tempted to give away valuable details to hackers that may be trying to impersonate your customer service representatives. Be in touch with them regularly and give them the knowledge they need to know if something is off or out of character when it comes to the service you’re providing. It’s also a good idea to keep customers apprised of any breaches or hacks if they do happen, as providing them with accurate information in a timely fashion can help you to retain their trust and control the narrative about the issue before it spirals into a larger issue. Do what you can to be transparent and honest about any cyber security issues you may encounter. Think ahead about the types of threats you may be exposed to as you are expanding your offerings. Before implementing them, take action to put appropriate security measures in place. Even if you are investing in a secure program, make sure you have backup and contingency security plans in place and know how you’ll go about handling a breach or hack if it does happen. Don’t be tempted to move forward without these layers of protection. You want to be confident that any new offerings you provide to clients are as secure as possible in order to maintain their trust in your business. If you’re not quite ready to sell or exit the industry, investing in new high-tech features to provide your customers with the security system capabilities and add-ons they are looking for is likely well worth it. But if you choose to do so, be prepared to take on the task of implementing cyber security measures to keep your company and your customers safe. Doing so will help you to mitigate any risk of being hacked, and will help you to maintain the trust of your loyal customers who rely on you to keep their families and their information safe and secure. Not feeling up to investing the time, energy, and resources necessary to implement Internet of Things integrated offerings securely? Then it’s likely in your best interest to sell your alarm business. Weighing your options? Interested in learning more about whether you should sell or upgrade? 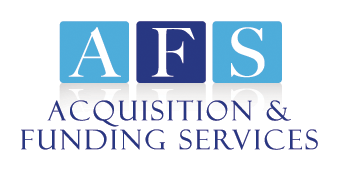 Rory Russell of AFS is a terrific resource who can help guide you towards the choice that will benefit you and your alarm company most. With decades of experience in the alarm security industry and facilitating successful, profitable alarm business mergers and acquisitions, Rory can provide valuable insight that will point you in the right direction. If you decide you’re ultimately ready to sell, he can connect you with qualified buyers willing to pay top dollar. Want to stay in the industry and expand? He can help you with that too. Get in touch with Rory today at (800) 354-3863 (his personal cell with 23/7 availability) or by contacting him online here. Key Questions to Ask Yourself Before You Sell Your Alarm Company – Thinking about putting your alarm company on the market? Answer these 8 questions before you make a move. To Sell or Not To Sell: Advice for Security Business Owners – Get insider insight from Rory Russell, including information about how to sell for the right price at the right time. How to Sell Your Alarm Business for Maximum Profit – Learn how to go about selling your alarm company for top dollar, whether you’re ready to sell now or you plan to sell years down the road.